Facebook in China: What's the best VPN to access Facebook in China? Home » Articles and guides » Travel safe » Facebook in China: What’s the best VPN to access Facebook in China? How to use Facebook in China? Easy breezy you’ll tell me: Just use a VPN software, right? WRONG. Unfortunately, many VPNs don’t work in China… Because they are blocked by the Great Firewall of China. It means that even with a VPN, you can’t unblock any restricted content. Therefore, no Facebook, Whatsapp or Twitter. Fortunately, Al’s here for you dear reader. I tried and reviewed VPNs to find out what’s the best VPN to use FB in China! Good question. First, do I need to introduce Facebook? I’ll make it quick. Launched in 2007 by our friend, Mark Zuckerberg, Facebook became the largest social media network by the end of 2008. Impressive right? And today, it still is. There are 1.18 billion daily active users on average using FB (without the Chinese people)… No other social media website can compare. Facebook has been dominating over the social networking world. It all started in 1997, when the National People’s Congress passed CL97, a law that criminalizes “cyber crimes”. This law is used as justification for what the world call now the Great Firewall. Basically, it’s censorship. The Chinese government can block any ISP, gateway connection, or any access to anything on the internet… In other terms, if your website doesn’t please the State Council regulators, you’re blocked. GAME OVER. And people use Facebook to communicate. They share their point of views with their networks (family, friends..), but also with the world. It’s very powerful. And they can share any type of content: Pictures of babies or cats, lame quotes and political opinions. And that’s why the Chinese government decided to “regulate” Facebook. In 2009, Xinjiang independence activists started using Facebook as their primary mean of communication. And they organized a street protest in Ürümqi to demand a government investigation about the murder of two Uyghur workers. Unfortunately, at one point, the demonstration became violent, resulting in Riots in Ürümqi. To avoid further problems, the government blocked the access to Facebook in China. It’s been six years. And it looks like the situation won’t change any time soon. Facebook banned in China forever? Our friend Mark visited the Chinese President Xi Jinping in China. He has also welcomed some of the top internet officials of China in the Silicon Valley. 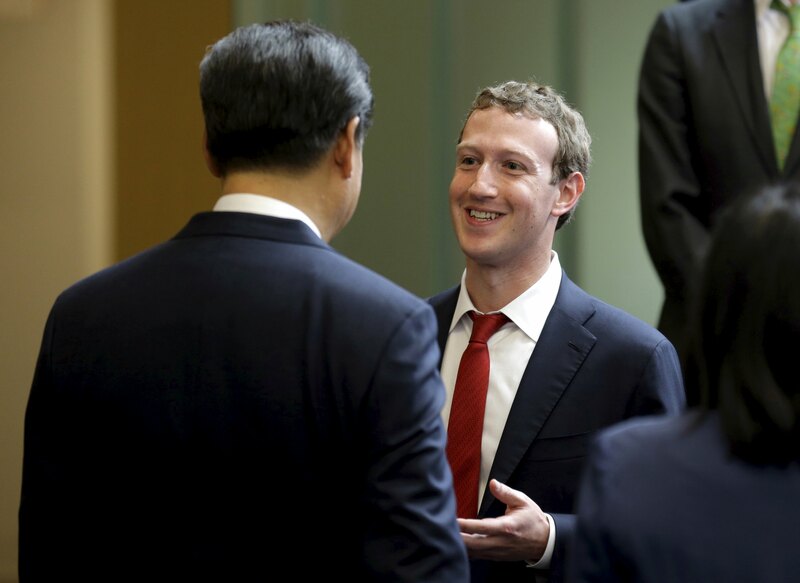 President Xi Jinping hinted towards the possibility that FB might be available in the near future. He even officially signed up and used his Facebook account during a tour to the United States. 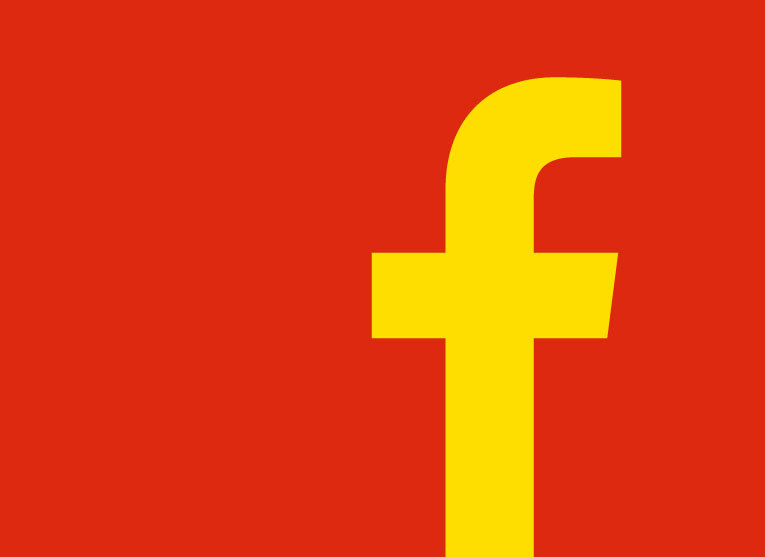 Facebook logo with the colors of the Chinese flag. Show your love! Despite these encouraging signs, most believe that Facebook won’t make a comeback to China. How to access Facebook in China anyway? You’re on a business trip in China and you want to take a break. You remove your shoes and sit on the couch. You take your tablet, launch the FB app and… Nothing! Only the same old news. In your preparation your completely forgot about the censorship of the web. Either you give up and take a nap. Or you can use a VPN to access Facebook. I already explained what is a VPN. If you’re too lazy to get the full version, a VPN is a network of servers. It’s private because it’s ran by a corporation. You can connect to one of their servers and pretend to be in another country. Furthermore, all your traffic is encrypted through a tunnel, thanks to a VPN protocols. How does that help you? Well, if you connect to a UK server, you’ll be considered as an English user. Even if you’re in China. And in the UK, there’s no censorship… So you can access Facebook, Twitter, Instagram or any website you would normally be able to visit. All the geo-restricted content is now available with a VPN. You can also watch UK Netflix or the BBC. Now you know how to access Facebook in China. But a VPN was primarily created to protect corporate data over the Internet. This protection covers two areas: Your privacy and your security. With a VPN, you hide your IP address and emulate a position in another country. So when you’re surfing your are totally anonymous. Nobody (no government, no ISP, no hacker) can access neither your IP address nor your position. All your requests come from the server where you connected. And your connection data are not available. Then, as I said: Your data are encrypted before going through the tunnel. And without the encryption key, nobody can access your traffic. You’re totally safe. You can even connect to any public WiFi without risk for your hardware or your personal data. I told you that not all VPNs can unblock content from China. Meaning that with the wrong VPN, you can’t access Facebook in China… I won’t talk about these, but let’s say that with a free VPN, you’re sure to fail… That said, here are my favorite VPNs to use in China. China started blocking the OpenVPN protocol, in their latest round of VPN blocking. Therefore most VPNs are down! China increased Internet censorship greatly in 2017, a trend which appears to be continuing… And an all-out VPN ban is slated to take effect in February! Why is VyprVPN my number 1? Because of three things: First, VyprVPN has patented a proprietary protocol and offers its own DNS servers. These specifications make VyprVPN impossible to block in China. Second, their software is very simple and user-friendly. You select a country in which you want to connect (outside of China), click Connect and that’s it, bye bye censorship. And third, VyprVPN offers a native app for mobile devices. It’s available on iOS and Android and it’s as good as on PC! What else? If you want more info about VyprVPN, check my VyprVPN review. If you don’t like the interface, just pick one of my top 5 VPN in the list. They’re all good options. This was my guide: How to use Facebook in China? Stay tuned for more articles coming soon.